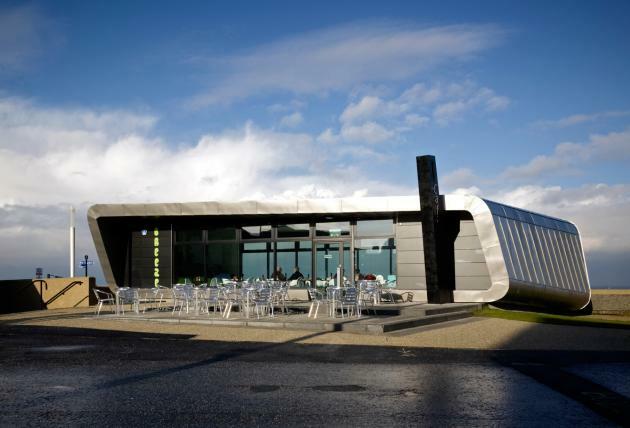 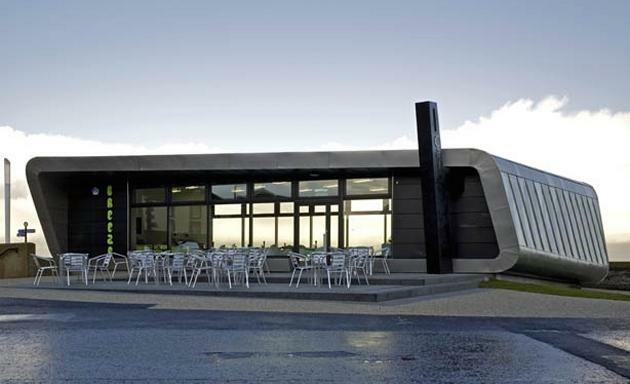 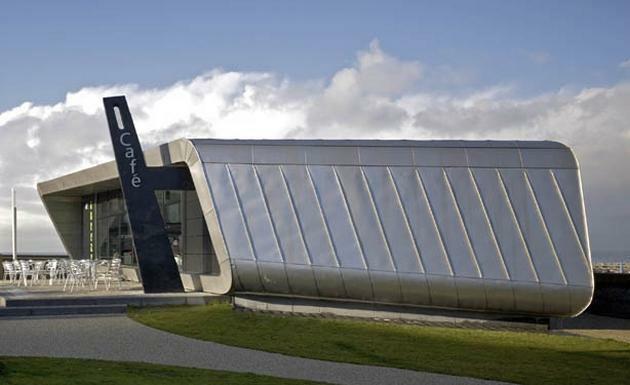 Arca Architects designed the Silver Cafe in the town of Morecambe, England. 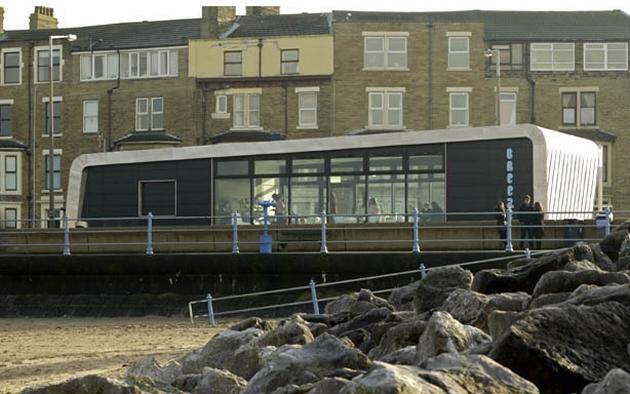 Commissioned by regeneration body ‘Winning Back Morecambe‘, the new cafe building for the Promenade was to provide a distinctive new landmark. 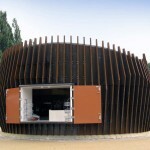 Arca’s solution was to raise the ground level of the garden strip to create a terraced plinth for the cafe to sit upon. 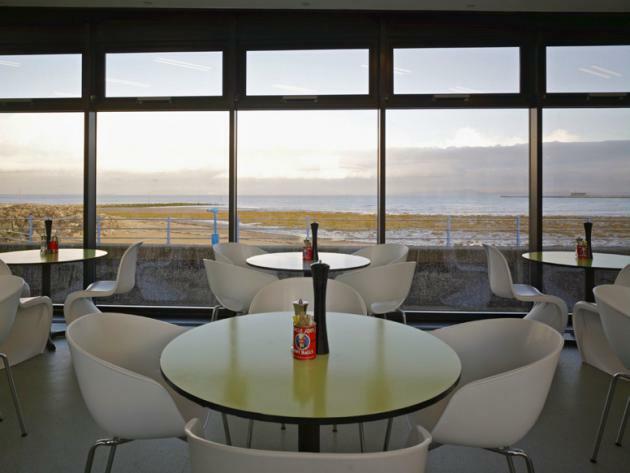 A silver stainless steel band wraps the space, framing views of Morecambe Bay through its glazed facades and withstanding the harsh marine climate. 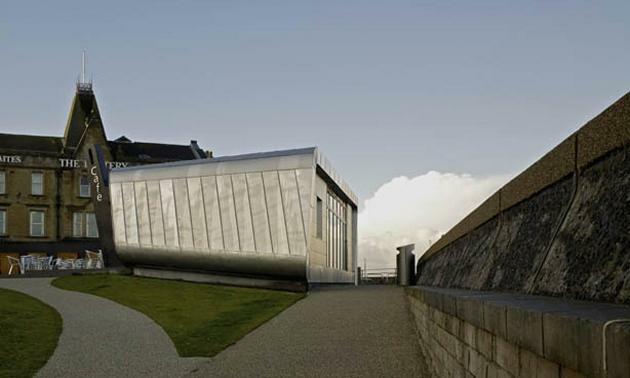 This shiny organic form acts as a ‘full stop’ to the western end of the seafront. 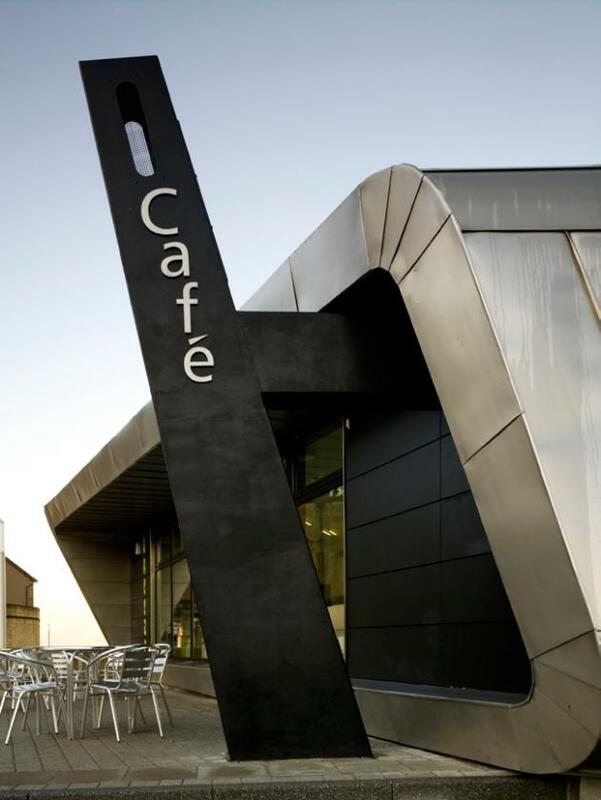 In use, the cafe seating can spill out to occupy the various levels of the terracing, animating the public space around. 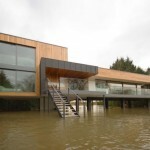 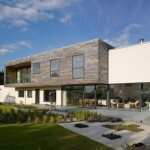 Visit the website of Arca Architects – here.